Build your sales pipeline and make more money. Get your third & fourth months FREE with PROMO CODE: "2MONTHSFREE"
Whether you're a new agent or have years of industry experience, you can spend months working towards a sales transaction - Rental Beast turns months into days so you can make money immediately! 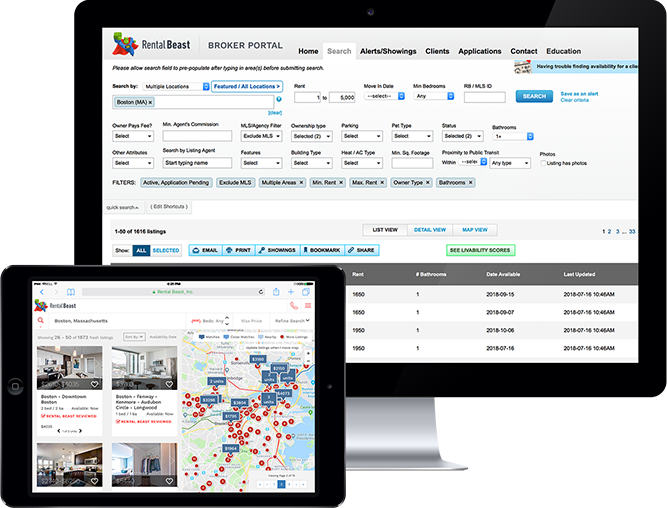 Access over 7 million rental listings not found on the MLS - all direct from the source - never worry about co-brokes again! Reach home buyers first. Build relationships with renters who will become buyers with our powerful productivity tools. Expert training and coaching from industry experts with Rental Beast University.